Having the line breaks when you are playing a fish is very disappointing. Don’t let it dishearten you because the problem is easy to solve. A few simple steps to look after your line and a balanced setup will make all the difference. Natural light will damage nylon line over time, I store mine indoors, in the dark and at room temperature. Although natural light is not detrimental to Fluorocarbon, I prefer to keep all my reels and spare line together. Check your line for damage every time you tackle up. Run your fingers up the line for the first couple of yards feeling for any kinks or rough patches. If you find any flaws, cut above the flaw and safely dispose of the line when you get home. I very rarely find flaws because at the end of every session I cut the line above the rig removing any damaged. Tying knots is part of fishing, but tying a knot in nylon line will always weaken it. So it is no surprise that line often breaks on the knot. The very worst knot to use is the overhand knot, avoid this knot at all times, that includes using it to tie loops. Fishing line manufacturers usually recommend the best knots for their line. Monofilament line absorbs water and after a few hours submerged it will be saturated. This has two effects on the line. It makes the line more soft and supple, but it can also make it up to 15% weaker in both linear and knotted strength. Fluorocarbon is impervious to water, so dose not weaken no matter how long it’s in the water. The rod, reel, line and everything attached to the line must be in balance. 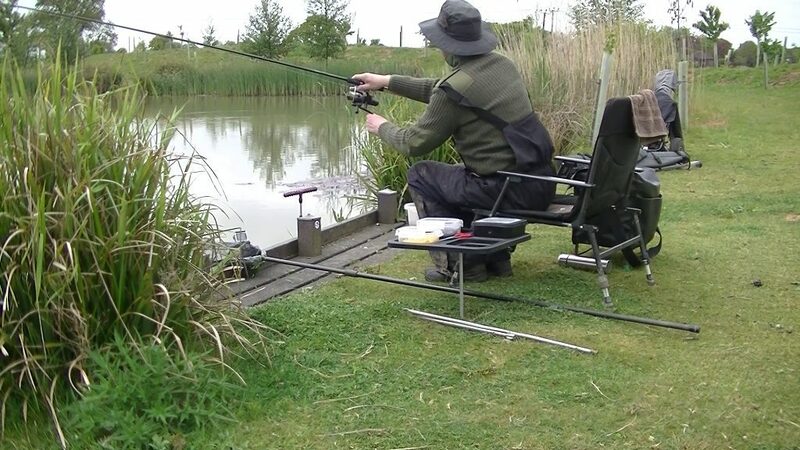 Use a rod which is suitable for the method you want to fish. Look on the manufacturers website for the line strengths recommended for your rod. A rough guide is 5 times the rods test curve in pounds, to find the ideal line breaking strain in pounds. Modern rods can often handle a range of line strengths from 2 times to 8 times the test curve. Once you know what the rod can handle, a suitable reel can be selected. There are a couple of ways to set the drag of the reels clutch. You could, use a spring balance to measure how much force is needed to cause the clutch to slip. I like to see the clutch slip at the reel of around 30% of the line strength. Alternatively, hook your rig on something and pull on the rod at right angles. The clutch should slip on or just after the rod is bent round to 90 deg. Using the right tackle for the species will help to stop line breaks. A Carp rod with 15lb line could have the reels clutch set as high as 5lb. For Roach, a line of 2 lb might be used with the clutch set at just 8 oz. The tackle needed to hook and land a Carp will be heavier and stronger than the tackle needed to land Roach. The bigger the fish the stronger the tackle, this is why whenever you buy a new rod or reel the shop owner should ask what you are fishing for. Whatever species I am fishing for, I always have my clutch set low. If I hook something bigger than I was expecting, I will let it run and run until it is tired enough for me to bring in. If I feel the fish is going to make it to a hazard, I can slow it down by increasing the drag from the clutch with my free hand on the spool. I also get far fewer hooks straightened or hook pulls by using a light clutch. In conclusion, line breaks are prevented by looking after the line, using a balanced setup correctly and playing the fish patiently.